120 hours of total training, consisting of theoretical classroom and clinical training. 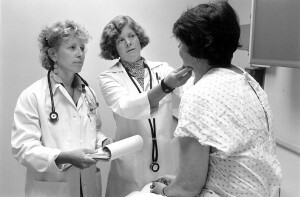 The training is imparted under the supervision of a RN or LPN, who has 1 to 2 years of experience. The training is offered in numerous high schools, community and vocational institutes, trade schools, technical institutes and long term care facilities. A student can also attend Free CNA Training by applying to non profit organizations, who works toward the uplift of low income bracket people. Even state and federal grants, scholarships can be obtained for free programs. The long term care units also sponsors candidates with a pre-condition that they will work in their facility after completion of CNA Program. Online Training programs are also available for working personnel.